Reception area is the first visual impression given to every client who walks through your doors. So, look at reception area and take the time to think about what type of people will visit your company and what impression you might give with your existing furniture. Does your current reception area decor give an impression of prosperity? Does it inspire confidence? It needs to. 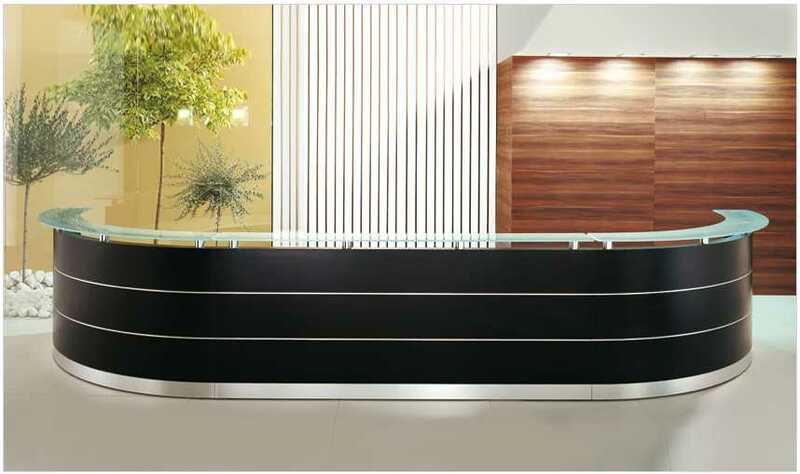 Reception Desks is the first and foremost piece of office furniture in your recpetion area. They come in all shapes, sizes and materials. You can get straight desks, L shaped desks and U shaped reception desks. Regardless of the shape of the desk, there are some basic features that are very convenient and by some considered a must. Such things as built in raceways, a sliding keyboard tray so that the desk surface can be kept clear for other work, and a privacy hutch that also acts as a writing surface for customers and clients. This also allows for critical distance and professional courtesy between a client and the receptionist. Depending upon the statement you want your furniture to make, you can get rich finished furniture, such as cherry or mahogany, or you can get functional such as a gray or pewter finish, or you can go modern with a steel and glass reception desk. However, Remember that don’t make your Reception desk look like a bar counter.